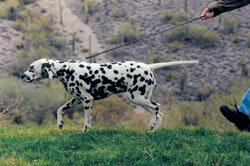 The appropriate use of electronic training devices can help resolve issues such as pulling on the leash. strengthen the bond with their human companions. In the 30 years since the first “shock collars” became widely available in the United States, these increasingly popular behavioral training products have been refined to produce more effective results in ways that have proven not only to be humane, but also, gentle. way, some veterinarians and consumers harbor misconceptions about these products and their effect on dogs based upon their impressions of older, crudely designed devices. To the contrary, clinical studies in recent years offer conclusive evidence that the proper use of modem electronic training devices does not lead to adverse physiological effects on dogs. international canine behavior experts, practicing veterinarians, animal welfare organizations, professional dog trainers, sport dog enthusiasts and others who have tested and observed the effects of electronic training devices on dogs in shelters and laboratories, on farms and in other real-world settings. effectively and humanely use electronic training devices for behavioral modification, obedience training and containment needs. family. This paper’s purpose is to help you become more familiar with credible research into and objective facts about today’s products so as to be conversant when discussing behavioral solutions with dog owners. Evidence exists that almost all veterinarians are concerned about the alarming rise in shelter populations and euthanasia statistics, many of which are attributable to behavioral issues. Because veterinarians are in a unique and credible position to proactively educate dog owners about behavioral health, it is helpful to be aware of the latest tools that dog owners may employ to help their pets succeed as valued and permanent members of the family. Or conversely…. The devices only work on aggressive dogs. They “shock” the dog. Electronic collars can cause burns. Dog owners have to be expert trainers to use the devices. U.S. pet owners purchased more than two million remote training devices, pet containment systems and bark collars in 2001. Over the years, electronic training devices have been known by many monikers, most notably and most graphically “shock collars.” Other terms include “electronic collars,” “e-collars,” and also “remote trainers” when used in a generic sense. The current and more accurate term “electronic training devices” recognizes that while the products do incorporate a degree of electrical or “static” stimulation, the term “shock” is a misnomer for today’s technology. The distinctions between first generation products and today’s devices will be explored throughout this paper. The first electronic training devices were used by outdoors enthusiasts to train their hunting dogs. 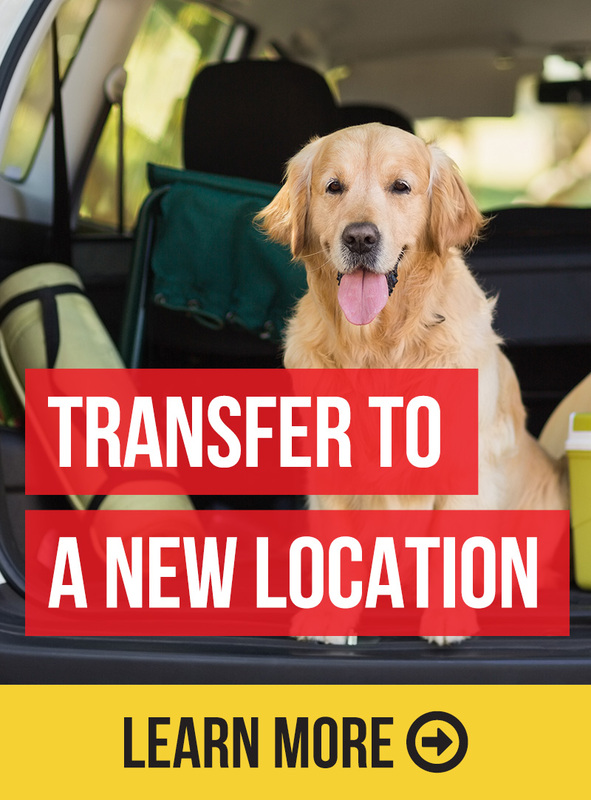 When the products proved effective and popular with sport dog owners, leading manufacturers expanded their product lines and reduced the cost to make the devices accessible to companion dog owners. Today there are at least eight major manufacturers of electronic training devices marketing their products globally at retail outlets, through mail-order catalogs and online. million units today. Unit sales of electronic training devices are projected to reach four million annually by 2007 – indicating acceptance by consumers in greater and greater numbers. through contact points attached to a dog collar. The products are generally broken down into three classes, each with its own training applications. for an existing barrier that is not keeping the dog contained. In addition to newer wireless models, there are also systems designed for indoor use that can be scaled from very small to larger areas. electronic, citronella and sonic varieties, this paper addresses electronic correction bark control collars only. In addition to being useful for deterring undesired behaviors, remote trainers have also proven highly effective for teaching obedience commands. problems that could be treated with medical care. A survey of veterinarians and veterinarian technicians attending the 2003 North American Veterinary Conference found a generally positive attitude about the use of electronic training devices, with 80 percent of professionals stating that they would recommend them in many cases. Could owner misuse of the products result in adverse physical and/or psychological effects? Might the dog be subjected to undue discomfort? The following research project provides reassurance to veterinary professionals who have concerns about potentially adverse effects of modern electronic training devices. Because behavior problems are the reason that a significant number of dogs end up in shelters, research has been done in shelter and rescue environments to gauge the effectiveness of electronic training devices. In 2003, a team led by Janet Steiss, D.V.M, Ph.D., of the Tuskegee University College of Veterinary Medicine, conducted a four-week study of adult shelter dogs’ physiological and behavioral responses to bark control collars. Dogs were randomly assigned to either an electronic collar or the control group. At the conclusion of the study, Dr. Steiss and her team concluded that electronic bark collars were not only effective in controlling excessive barking, but that they also did not cause any lingering adverse physiological effects. From a behavioral standpoint, the amount of barking was significantly reduced starting on the second day that dogs wore the electronic collars. Physiologically, the dogs registered a mild, yet statistically significant increase in blood cortisol level only on the first day of wearing the collars. Samples were taken 20 minutes after the collar was removed, on week 4, day 3, the last day of the study. Salivary cortisol standard curve extends from 0.008 to 1.6 pg/dl. Clinic, Tuskegee University, had values of 1.65 and 1.38 nmol/L. Source: Janet Steiss D.V.M. Ph.D., PT, et at. not harmful and is more startling than painful. Case 3 – What Does a Static Correction Really Feel Like? “abdominal energizer” fitness product is exponentially stronger, more than 3,046 times stronger, than the impulse a dog receives from a bark collar set at its highest level. Although not depicted on the chart above, Radio Systems Corporation found when testing its products that the output voltage a human would receive from a nylon carpet at 50 percent relative humidity is more than twice the output voltage that a dog would receive from any of its three types of electronic training devices set at low levels. At 20 percent relative humidity, the carpet would produce a sensation more than nine times stronger than a low-level electronic stimulation. A vital feature of today’s electronic training products is that instead of the obsolete “one-size fits all” approach, it is now standard for most devices to offer a range of electronic impulse levels from which owners may choose depending upon their dog’s personality, breed, size, activity level and environment. In 2002, Radio Systems Corporation received an endorsement by the International Association of Canine Professionals for its “Gentle LiteTouch” pet containment training method. This breakthrough set the standard for the industry to aspire to in offering a wide range of stimulation adjustment for containment products. Today, a survey of current remote training collars reveals a choice of stimulation levels ranging from five to 18 in various modes of operation. This expanded range of choice is now commonplace among all leading manufacturers of electronic training products. Research and anecdotal evidence from dog training professionals suggest that dogs can learn faster and achieve true long-term learning when conditioned with electronic training devices. A team of Norwegian researchers conducted a two-year study of the effect of electronic training devices on 114 hunting dogs of breeds that exhibited a strong instinctive drive to kill sheep. A group of dogs was given a sheep confrontation test in the first year by which they received an electronic correction for predatory behavior when they got within two meters of a sheep. first year required it the second year. extinguish the bark response notes Radio Systems Corporation. When the collar is removed the dog will still bark to alert to strangers. stand-alone behavior modification methods such as leash or clicker training. With a remote trainer, owners can deliver the appropriate signal at the exact instant they want to get the dog’s attention. “There is no time delay like there is associated with a treat, or taking up slack on a leash, or catching the dog if it is far away,” explains Keith Benson of Triple Crown Dog Training Academy, the largest canine training and behavior center in America. As many who rely on food treats as rewards will probably attest, it can quickly become difficult to motivate some dogs to work for anything other than food. Still, other dogs are model students in obedience classes but seem to forget all they have learned once they are in the “real world.” Use of a remote trainer ensures that the owner can consistently correct or reward the dog instantly without having to feed a constant stream of treats, manage an extremely long leash or chase the dog down to remind it to cooperate. In certain situations, such as animal assisted therapy or police dog work, it is of the utmost importance to all involved that a dog be under near fail-safe control at all times. Our Canine Unit has been in existence for 13 years and has depended greatly on the use of remote training collars. The devices aid in teaching new exercises using low-level stimulation. They are also very useful in controlling the dog at a distance while allowing our officers to keep their hands free—a very important officer safety issue. Most important, it limits the department’s liability. We have yet to have an accidental bite of an innocent bystander…. If we can prevent our dogs from placing themselves in dangerous situations by the use of low-level stimulation, it is our responsibility to do so. Round Rock (Texas) Police Department. Note that in an environment where one might expect more forceful handling of the dogs than might be acceptable to vets and owners, the police department’s handlers prefer to train using low stimulation levels. While much current literature on electronic training technology focuses on benefits, there is little doubt that incorrect use of the devices can pose some degree of physical and/or psychological risks to dogs. May need to trim or shave hair on dog’s neck to ensure contact points touch skin. Shock may result in fearful or aggressive response collars to a person or other animal near wearer. Contact points may irritate skin, causing infection, so dog’s neck should be examined frequently. Training goals should be achieved with minimal repetitions. May need to shave hair on dog’s neck to ensure contact points touch skin. Shock can trigger aggressive behavior or stress with severe enough to interfere with learning. Contact points may irritate skin, causing infection. Electronic Containment Systems Not recommended for dogs with existing feas or aggression problems. Dog may be injured or traumatized by other animals crossing or approaching the boundary. Because of the exponential rise in the use of electronic training devices, many veterinarians are noting an increase of infection, necrosis, contact dermatitis, and/or scarring at the collar site on the neck. Of particular concern, some are mistaking pressure necrosis (also known as “contact dermatitis” or “decubitus ulcers”) caused by too-tight collars for bums that appear to have been caused by the collar. Robert E. Schmidt, D.V.M., Ph.D. stresses that prevention of pressure necrosis is the best treatment. “If reddening of the skin is noted, the tightness of the collar should be evaluated,” advises Dr. Schmidt. This would entail removing or loosening a too-tight collar that is causing ischemia, which can lead to pressure necrosis if incorrectly diagnosed as bums or if not diagnosed until later stages of ulceration. Pet owners need to check for proper fit and irritation on a daily basis. Proactive veterinarians should consider asking dog owners if they plan to use electronic training devices and briefly explain how to check for proper collar fit so as to avoid pressure necrosis. Who Are Good Candidates for Using Electronic Training Devices? especially benefit from electronic training devices, notes Jerry Wolfe, president of Triple Crown Dog Academy. [T]hese devices have also shown great benefit to senior citizens who do not have the strength or proper timing when using a conventional leash and collar. We have also experienced in working with handicapped pet owners, that these devices are sometimes the only way for them to safely train and control their dogs—especially in public environments with enhanced distractions and the possible presence of other dogs. response but starting at too low an intensity can cause habituation. Because today’s electronic training devices offer a range of correction settings, it is always advised that dog owners begin training on the lowest setting and observe the dog closely to gauge its response. Deep Run Health Care and Training Center in Goldvein, Virginia, refers to as the “recognition” level. While this paper has presented several scientific studies on the physical and psychological effects of electronic training devices, some of the most compelling arguments for the judicious use of electronic training devices are found in anecdotal evidence. hundred dogs that would have been turned in to shelters or euthanized because the dogs were deemed uncontrollable. These are dogs from normal households that failed to learn for whatever reason. These dogs come to our training center and spent two to four weeks learning how to respond to the training collar. We do not punish with it, but teach the dog to pay attention, learn right from wrong, and develop self-control and a solid sense of teamwork. These dogs go back home with their owners who easily maintain control by occasional application of a tone or stimulation to remind their pet of the rules. adjusted or employed may also present risks) but their proper use in conjunction with reward-based obedience training has demonstrated benefits to many thousands of dogs and their owners. Despite the stepped-up efforts of national and grassroots organizations to slow the growth of the unwanted animal population, the fact remains that a large percentage of dogs in shelters or on the street got there because, for any number of reasons, they failed to integrate successfully into family life. Veterinarians who pro actively address behavioral issues with dog owners can contribute significantly to helping reduce the alarming shelter and euthanasia statistics. This paper has made the case that appropriate use of modern electronic training devices are an appropriate tool for the majority of behavioral and containment issues that frustrate owners. successful outcomes in the majority of cases with no adverse physiological or psychological effects on the dog. Randall Lockwood, Ph.D., Vice President for Research and Educational Outreach of the Humane Society of the United States, letter to Phil Alder of the Department for Environment Food and Rural Affairs (United Kingdom), May 20, 2004. “Top Line Summary from Interviews Conducted at the North American Veterinary Conference: January 2003,” Radio Systems Corporation, 2003. Janet Steiss, D.V.M., Ph.D., PT; C. Schaffer, D.V.M. ; H.A. Ahmad, Ph.D., MBA; “Evaluation of Dogs Wearing Bark Control Collars,” investigator report, Oct. 24, 2003. Dieter Klein, “How Dangerous are Remote Stimulation Devices for the Training of Dogs?” originally published in Amtstierarztlicher Dienst und Lebensmittelkontrolle, 2000. Jerry Thoms, “The Modem Remote-Training Collar; This is Not Your Father’s “Shock Collar,” Gun Dog Magazine, June/July 2004,56-61. Conditioning in Hunting Dogs by the Second-Year Confrontation with Domestic Sheep,” Applied Animal Behaviour Science, April 26, 2001, 131-143. Phyllis Giroux, D.V.M., CAC, “The Shocking Truth About Remote Trainers,” The Whole Dog Journal, Vol. 4, No. 2, February 2001. Sgt. Rod Hampton, Round Rock (Texas) Police Department Canine Unit Supervisor, open letter, August 7, 2002. Delta Society, Professional Standards for Dog Trainers: Effective, Humane Principles. Renton, WA, Delta Society, August 2001,26-28. Jerry Wolfe, President, Triple Crown Dog Training Academy, letter to Phil Alder of the Department for Environment Food and Rural Affairs (United Kingdom), May 20, 2004. Steve Appelbaum, President/CEO of Animal Behavior & Training Associates, Inc. and professional dog trainer, open letter, May 20, 2004. Leslie Sinclair, D.V.M., “Electronic Aid,” HSUS News, Summer 1998.
International Association of Canine Professionals, Vol. 5, Issue 2, Summer 2004. Permission to reprint and distribute this paper in its entirety is granted by Radio Systems Corporation through January 31, 2006.